After another download holiday Japanese downloaders (and their importing compatriots) are having a week that's more VC than WiiWare and more DSiWare than anything else. Hamekomi Lucky Puzzle Wii Returns (500pts - Tryfirst) -- This is the sequel to the game known as NEVES Plus elsewhere: a puzzle game where you need to use geometric shapes to fill in picture outlines as with real-life tangrams. Apparently the first one did so well they decided a sequel was in order! Sugar Bunnies Wii Yookoso Bunnies Field (1000pts - Takara Tomy) -- A Sanrio licensing deal is clearly apparent (the Sanrio copyright indicator on the title screen is a subtle clue) in what appears to be Tomy's take on the kids sim shop game. You have a variety of shops to check out and things to do in them to serve bunny customers. There will also be DLC available for purchase -- as if kids didn't have enough real-life Sanrio stuff to buy! 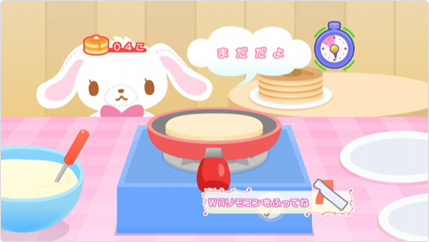 Make pancakes for the bunnies! Bahamut Lagoon (Super Famicom 800pts - Square Enix) -- A tactical RPG with a fantasy setting which was never officially released outside of Japan (apparently an unofficial translation exists somewhere). Galaxian (Arcade 800pts - Namco) -- The predecessor to Galaga and the first of Namco's 2nd wave of arcade titles for the Virtual Console Arcade. The original game was noteworthy for having more active enemies than Space Invaders and - gasp! - COLOUR! 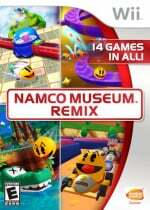 This game already has an excellent arcade-perfect port on the Namco Museum Remix collection if you cannot wait for this to come to your territory. 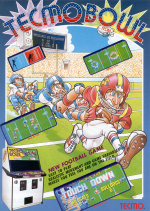 Tecmo Bowl (Arcade 800pts - Tecmo) -- A catch-up title for Japan (how odd) and one that we've already reviewed. Only Europe to go, though given the subject is American football, it's not necessarily a sure thing. What is the degree of your chicken? Marchen Maze (Arcade 800pts - Namco) -- Another arcade game from Namco (you really cannot have too many, can you? ), this one is unlikely to be familiar to many people outside of Japan. It's got an Alice in Wonderland theme where Alice is walking on a suspended platform seen from a 3/4 view and fires glowing balls at various enemies blocking her path (what, you don't remember that from the stories?). Chookon Chicken Do Shindan (200pts - G-Mode) -- Roughly "Diagnosis Time Bird Chicken" (well, according to Google Translate, anyway) this is some kind of weird collection of reflex games where you touch the screen once. Depending on your timing "you can diagnose the degree of your chicken." -- Google Translate is the best! Custom Dual Calculator (200pts - Tasuke) -- This seems to include a standard calculator (sans scientific functions) as well as aides to playing trading card games (TGCs). It will keep track of card layout and such. Probably of use if you play a lot of Pokemon card games, Yu Gi Oh! or whatever the flavour of the month is. Illust Logic + Nihon no Mukashi Banashi (500pts - Hudson) -- This seems to be a standalone version of the Illust Logic game from the Puzzle Series released for DS on cart (and Wii on disc) in Japan as Illust Logic + Colourful Logic (someday the Wii version will be reviewed on this very site!). It's a picross game, so if you like picross, this is for you! Whilst the DS and Wii versions never got released outside of Japan, maybe the download will? Crossword House Vol. 5 (500pts - Nintendo) -- Yet another Japanese crossword game from Nintendo -- you never can have enough, can you? The Tower DS (500pts - Digitoys) -- Not to be confused with its predecessor, The Tower Classic, this one is... also a Sim Tower game, but possibly original and the last one was a PC port? You can be confused -- it's okay, it's traditional! Shikaku i Atama o Maruku Suru. Nichi Mekuri Calendar DS (800pts - IE Institute) -- This seems to be a calendar program that includes daily brain training style exercises. Master 150 Basic English Phrases (800pts - IE Institute) -- Another collection of English phrases to learn. This is a learning aid targeting middle school students learning English. I thought tower ds was 1000 pts. wait... 1 question, why does Japan always happen to get tons of DSiware on 1 day!!?!?? that annoys the heck outta me!! Yeah, especially since dsiware is in desperate need of more and better content. It is going up against PSPgo and iphone afterall. A Picross game? I want it! Salivates at the thought of more Picross goodness. Yeah, we're yet to even get the FIRST Neves Plus in the EU! That's an insta-download for me, as the sequel probably is. That logic dsiware game is also of real interest to me. A sequel to NEVES Plus? Wow! Hope we get it too! Otherwise, nothing too big this time around. Is Bahamut Lagoon a good title? Because it looks very interesting to me. "you touch the screen once. Depending on your timing "you can diagnose the degree of your chicken."" Hey, no laughing. For some of us that's a useful app. Japan gets more DSiWare games in one update than we see in a month. Including VC and WiiWare! 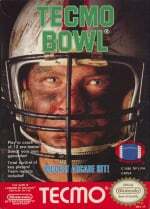 Why is Japan getting Tecmo Bowl? Do they even know what football even is? I want to know the degree of my chicken!! I would gladly buy "Custom Dual Calculator," since I am starting to get back into Pokémon. @Chicken: I just knew you'd be interested in that game! If I had a DSi it would probably be Japanese and I'd probably get that game! Come on NOA, us next!!!! Wait a minute.... wasn't The Tower DS 1000 points? So, let's see what's on the IOU list for NOA. It was 800pts. and it was The Tower DS Classic -- see? 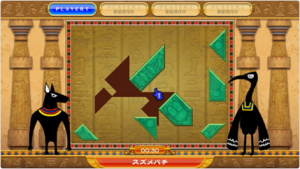 Isn't this the second Illust Logic on DSiWare? @cheetahman91: Uh, you know Tecmo is a japanese company, right? Also, they (obviously enough) got this game back in the day, too. american dsi shop is soooo lacking at the moment.... is NOA aware we feel this way?? @WarioFan63: Good eye, looks like there was another one on the 15th of April. There were an awful lot of puzzles in the cart release; possibly they were split into two? Looks like one is actually titled Illust Logic+ Nihon no Mukashi Banashi or Japanese Folktales/Legends -- I'll get that changed. Bahumat Lagoon?...Aren't they remaking that?O_o I'll have to play it someday.